This article has been tagged as Needing work due to its lack of content, lack of information on what is lost/found and lack of references. 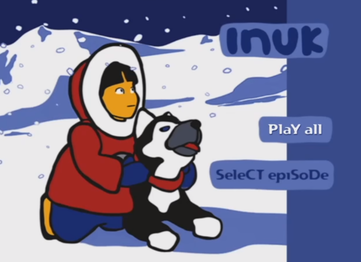 Inuk was a computer-animated Canadian children's series that aired in 2001. The animated series is about a seven-year-old Inuit boy named Inuk who lives in the Arctic with his family. One day he finds a magical amulet that allows him to talk with animals (like a sled dog named Kimik). Along with his family and new-found friends, Inuk sets off on a journey to find his place in the world. Inuk was shown on the CBC network from late 2001 to late 2003. 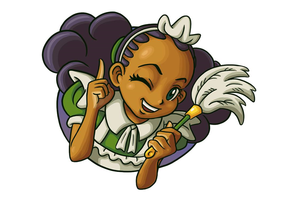 The French dub was broadcasted on Télé-Québec. Episodes were released on DVD in both French and English. As of 2017, only a rerun has been broadcasted on NITV. As of June 2018, only two full episodes have been found (those being The Little Shaman and Trapped), as well as the French opening, a music video, and the DVD menus from Inuk: Treasure from the Sea. 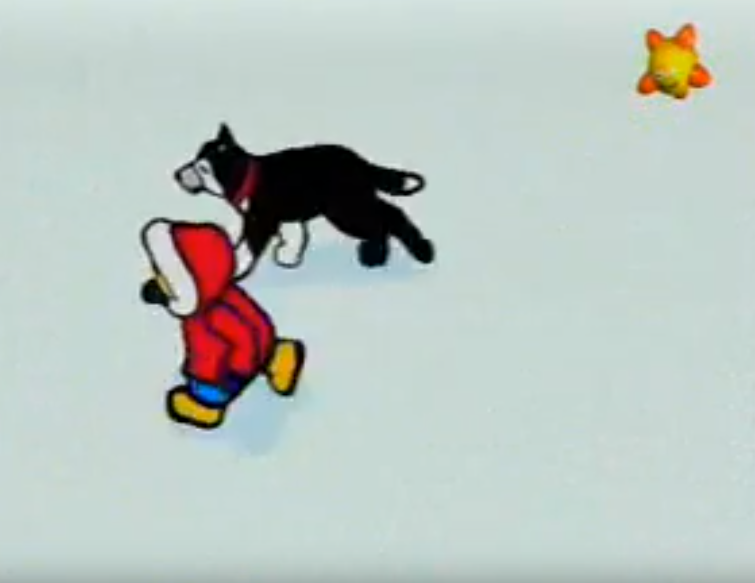 A music video from Inuk. Part 1 to The Little Shaman (external recording). Part 2 to The Little Shaman (external recording). 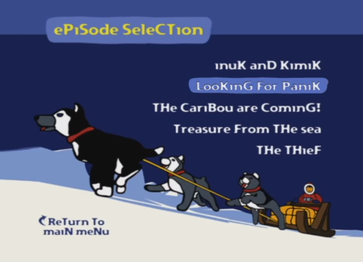 The DVD menus for Inuk: Treasure from the Sea. Part 1 to Trapped (external recording). Part 2 to Trapped(external recording).